When R&D investments should be increasing, the US keeps reducing these. Worrisome. Read the article based on an MIT report here. 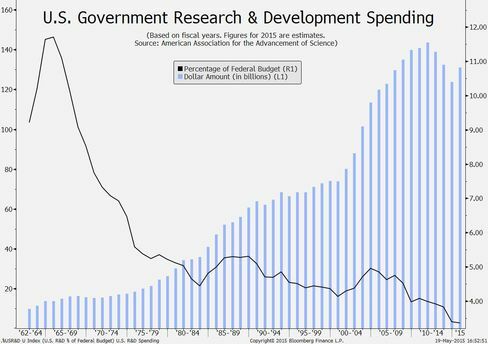 “Reduced federal spending on research and development poses “the risk of a widening innovation deficit in America relative to the rest of the world,” according to Joseph Quinlan, chief market strategist at U.S. Trust, Bank of America Private Wealth Management”.